I am sure we’ve all had those days when you’re famished and you feel like you can eat a horse but then you take a look at your wallet and your eyes start brimming with tears because you don’t have a lot of money and you have to go home as well. This happens to me all the time. I am a broke gourmand, a moose cheese lover with the budget of paneer. For broke days like always, I regularly go to my favourite place in INA market which is the Pandit Ram Sharan Sharma shop to eat their celebrated DAHI KE SHOLEY. It is a tiny shop in the rear end of the market and they serve mouth watering food items. The simple samosas suddenly taste unlike any other when served with their homemade aalu ki sabzi. You can also choose to have Kachodi with the aalu ki sabzi. They serve bread pakoras too, needless to say with their aalu ki sabzi. You can also find the occasional moong daal ke pakodes but they’re not a regular in their menu. 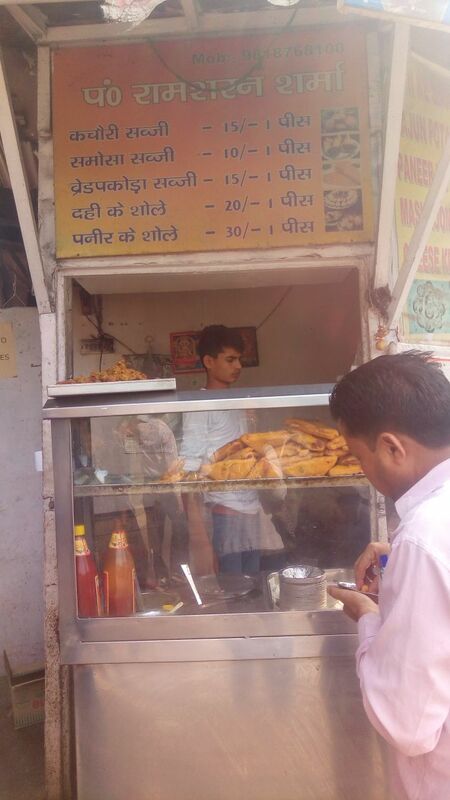 My personal favourites are paneer ke sholey, and Dahi ke sholey. These sholeys are served with an onion salad and dhaniya and imli ki chutney. The sweet and sour taste of the chutney with the crispy outer layer of the sholey, mixed well with the seasoned to perfection dahi mix is absolutely phenomenal. The food is extremely well thought out flavor wise, the burst of tasty goodness in each bite is beautiful. 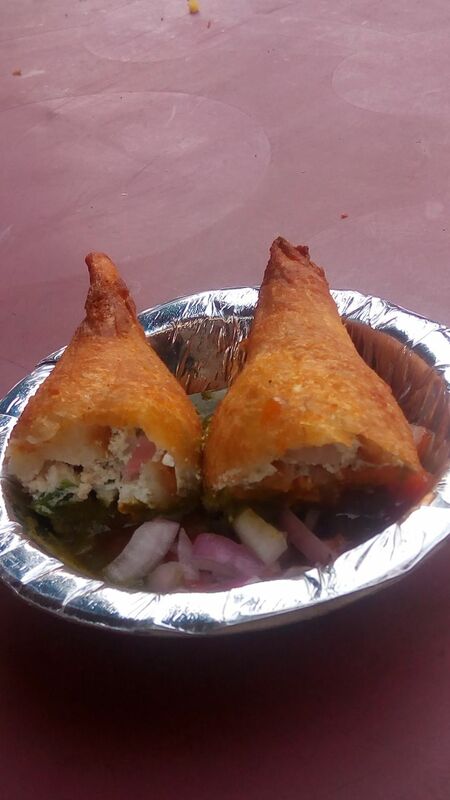 Pandit Ram Sharan Sharma has been serving these delicious items for more than two decades now and their quality just keeps getting better and better. The service is prompt and speedy, and the man at the counter is very sweet and chatty. He once explained that the coolness of the dahi makes the dish a must have during summers as it cools down the body, it doesn’t contain any unnatural ingredients and is a healthy junk food. One dahi ke sholey only costs 20 rupees and the paneer variant costs 30 rupees. And these are the expensive items from the menu.